World mythology is full of fantastic kingdoms and realms that exist alongside our own. Many of them are said to have entrances in the real world, meaning that it’s possible to at least stand on the doorstep of some pretty amazing places. Now, if only we knew the passwords to open those doors . . .
Knockma Woods is located in the western wilds of Ireland, and it’s associated with a couple of major legends. 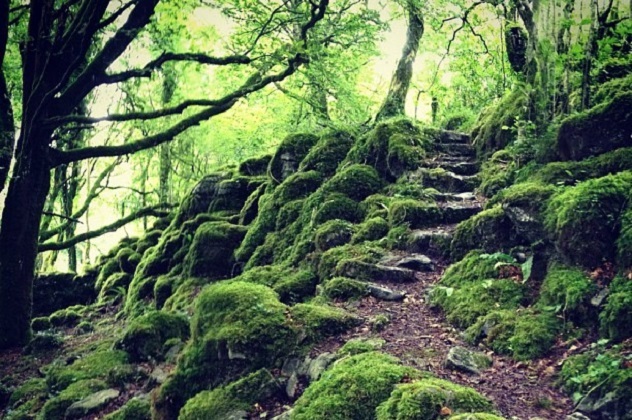 The legendary warrior queen Maeve is said to be buried in a cairn on Knockma Hill, and the hill itself is supposedly the entrance to one of Ireland’s fairy kingdoms. Ruled by Finnbheara (or Finvarra), the Fairy King of Connacht, the kingdom is said to exist just beyond one of the many stone circles and fairy rings that dot the hill. According to legend, Finvarra once abducted the beautiful bride of an Irish lord and carried her back to his kingdom. The lord followed Finvarra and his bride to the hill and ordered his men to start digging, but every night as the men slept, their work was repaired by Finvarra’s fairies. To keep them from repairing the entrance, the lord threw salt over the hill and eventually dug his way into the kingdom to retrieve his wife. Finvarra is also mentioned in family legends of the 18th and 19th centuries, said to protect the nearby Castle Hacket, keep the family wine cellars stocked, and ensure their horses’ victories in whatever race they entered. Knockma isn’t just a place of legend, either: Archaeological excavations have found a number of Neolithic sites in the woods, and cairns on the hill date back to around 6000–7000 B.C. The River Styx is the primary entrance to the Greek netherworld. It’s said to flow around the realm of Hades seven times, and its water is corrosive, poisonous, and deadly. The river was rumored to ultimately flow between two massive silver pillars, guarded by the nymph for whom the river was named. It’s also reportedly real, and its deadly waters are now thought to be what killed one of the greatest leaders in world history. According to legend, the waters of the River Styx functioned as something of a polygraph test for the gods when Zeus forced them to drink it. If they were lying, they would lose their voices and the ability to move for a year. These symptoms are eerily similar to those suffered by Alexander the Great before his premature death due to an unidentified sudden illness in 323 B.C. The Greek leader suffered stabbing pains in his internal organs and joints, high fever, and voice loss before he slipped into a coma. Those symptoms are also very similar to those experienced by a person who has ingested calicheamicin, a toxin produced by bacteria found in limestone, which is found in high concentrations in the Mavroneri River. Also known as Black Water, the river flows out of the Peloponnesian mountains and has long been thought to be the real-world entrance to the River Styx. Ancient tradition states that the water was so corrosive and so deadly, like its mythical counterpart, that the only things it couldn’t dissolve were a boat and raft made from horse hooves. If the theory about Alexander the Great is true, it suggests that he died not from malaria or typhoid, as previously suspected, but that he was poisoned by someone who had taken water from the mythical River Styx. The Lost City of Z is a mythological city nestled in the wilds of South America. Supposedly, it was a massive, advanced civilization strangely inspired by ancient Greek cities and full of treasure and riches. According to the writings of a 16th-century friar, it was populated by white natives and female warriors. As far as mythical cities go, this one didn’t seem too unlikely. There were huge, unexplored areas of South America that were so deep and dense that there wasn’t really any way of knowing what was buried in the jungle. One of the most famous people to go in search of the city—and disappear in the process—was Colonel Percy Fawcett. The colonel, who kept his intended route a secret to keep rival explorers from beating him to the mythical city, vanished in the Amazonian jungle in 1925. His expedition and disappearance are shrouded in mystery, and his cryptic writings and deliberately misleading coordinates offer few answers. One theory that some researchers have adopted is that the famed explorer wasn’t actually going into the jungle to find his lost city but to found a new one based on the worship of his young son, who accompanied him on the trek. While these theories are far-fetched, the one thing that isn’t as far-fetched as it sounds is the city itself. Modern satellite imaging has captured what Fawcett was looking for, not far from where he said it should be. Fawcett believed that the entrance to the mythical city was somewhere in Amazonian Basin between the Xingu and Tapajos tributaries of the Amazon River, and more than 200 earthen structures stretching along the Brazilian border of Bolivia suggest that there was something to the theory. It’s been estimated that some of the structures date back to A.D. 200, while others originated as recently as the 13th century. The entrance to Fawcett’s massive, glittering city appears to be just a little farther southwest from where he was last seen. Before this new information was uncovered, it was long thought that the Amazonian jungle wasn’t capable of supporting widespread agriculture, much less a giant city of these proportions. However, estimates suggest that the city was once home to somewhere around 60,000 people. The city isn’t just small buildings, either—some of their monuments are larger than the Egyptian pyramids. Shambhala is perhaps better known in the Western world as the fictional paradise it inspired, Shangri-la. According to Buddhist tradition, Shambhala is a hidden kingdom where Buddhist values and traditions rule. The utopian realm is also home to the Great Warrior Gesar, who leads hordes of the righteous who will eventually ride into the human world to combat our demons. Many accounts of visiting Shambhala have been published. 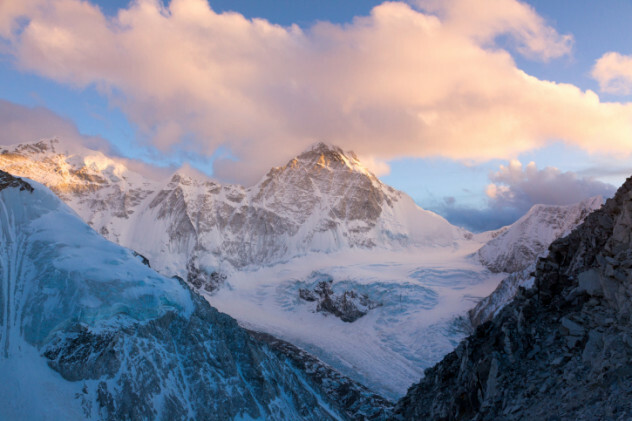 It’s said that Shambhala can be entered from long-forgotten outposts established by Alexander the Great, Russia’s Belukha, Afghanistan’s Sufi Sarmoun settlement and ancient city of Balkh, the border of Tibet in the Himalayas, and the Sutlej Valley in India. Heinrich Himmler was convinced that Shambhala was home to an Aryan race like the one the Nazis wanted to create and orchestrated seven expeditions to find it. Entering Shambhala is more difficult than it seems, though. According to the Dalai Lama, the entrance will not appear to you until you’ve attained a state of purity on par with the mystical city. Many people believe that means the entrance is not a physical location but a state of mind, which means that all of the above entrances could be real. Yomi No Kune is a part of Japanese mythology that predates the widespread belief in Buddhism. According to the myth, all of creation was the product of a god named Izanagi and his goddess sister-wife, Izanami. After Izanami died giving birth to fire, her heartbroken husband journeyed to the underworld to retrieve her. In striking similarity to other myths, the determined husband discovered a dark and gloomy place where souls who retain their mortal bodies are condemned to rot for all eternity. Izanagi was forbidden to look at his wife until they reached the surface, but like his many mythological counterparts, he caught a glimpse of her rotting, maggot-ridden body. Enraged that he dared to look at her in that condition, Izanami sent ghoulish demons to chase him back into the underworld forever, but he escaped and sealed the entrance to Yomi No Kune with a giant boulder. In response, Izanami promised to take 1,000 lives to the underworld every day, and Izanagi promised to make 1,005 new ones. Today, visitors to the Matsue area of Japan can visit the boulder that Izanagi is said to have used to seal off the underworld. Yomotsu Hirasaka, the official name for the entrance, is allegedly located behind one of the boulders near the Iya Shrine. It’s not clear exactly which boulder hides the entrance, which might be for the best. 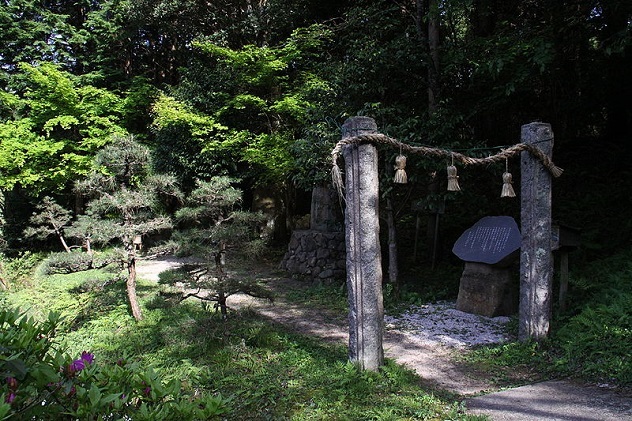 Izanami’s grave is also nearby, along with a shrine to her. At the height of its power, the Mayan Empire sprawled across Mexico and Central America, and its people’s belief in the otherworld was powerful. Their final resting place was Xibalba, which could only be entered by the dead and only after the soul faced a series of challenges, from crossing rivers of scorpions and pus to passing swarms of bats to following a dog that could see in the dark. As we’ve mentioned before, there are several different entrances to Xibalba, and researchers have recently uncovered another one in the Yucatan Peninsula. The underground and partially underwater ruins are a massive maze of caverns that contain some grim indicators of what the Maya thought waited at the end. Archaeologists have uncovered 11 different temples in the caves, along with evidence of human sacrifice. There are a number of artifacts that were left as offerings to the dead, including pottery, stone carvings, and ceramics. Archaeologists excavating the caves have also found massive stone columns and structures that were built underwater, a testament to the time, effort, and dedication it took to create the shrine. 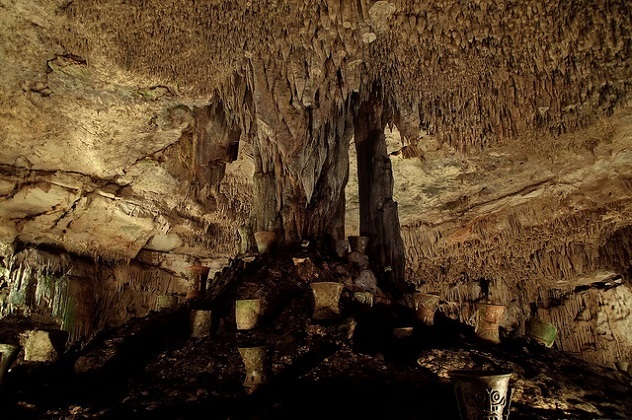 While it’s not clear whether the myth of Xibalba was constructed around the discovery of the caves or if the caves reinforced the myth, it’s certain that the two were connected. According to voodoo tradition, the Gates of Guinee have something to do with the passage of the spirit from life into death. Since the traditions of voodoo vary wildly, so do descriptions of the gates. In the voodoo of New Orleans, the guinee are spirits that exist in the afterlife who are often consulted as one is passing from one life to the next. The Gates of Guinee are portals into that afterlife, comprised of seven gates. It takes seven days to pass through all of the gates, and if the spirit fails, they may return to Earth as a zombie. 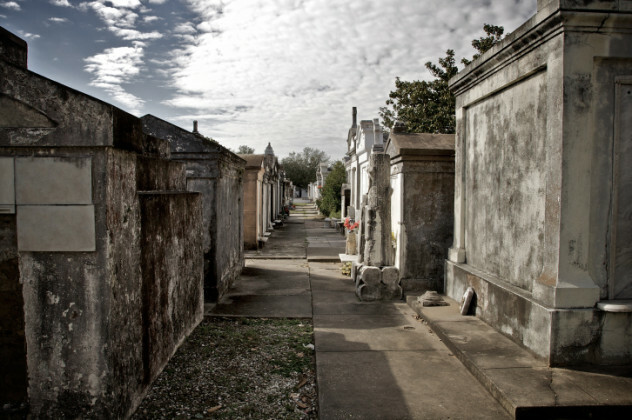 Some voodoo practitioners believe that the seven gates are located in seven different cemeteries in New Orleans, although the exact location and numerical order of the gates is a closely guarded secret. Clues have allegedly been spread throughout the city and its cemeteries, left for those who are knowledgeable enough to decipher them, often taking the form of voodoo deities’ sigils. The gates are supposedly the easiest to find and open around holidays like Mardi Gras and All Saints’ Day, but finding them is only the beginning of the problem. Gates have to be approached and opened in the correct order, and each one has a guardian who requires a suitable offering. Opening the gates in the wrong order or displeasing the guardians is said to allow angry, dangerous spirits to leave the otherworld and enter ours. 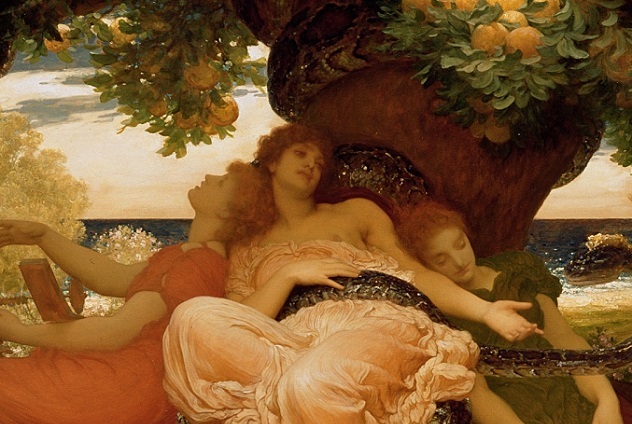 According to Greek mythology, Gaia gave Hera a wedding gift of trees that bore golden apples, which were kept in the Garden of Hesperides for safekeeping. Hercules was tasked with stealing one of the apples as his eleventh labor, which he accomplished by taking the place of Atlas and holding up the Earth while the Titan fetched one of the golden fruits. The entrance to the gardens was said to be located in modern-day Lixus, a coastal city in Morocco. Once a bustling Roman port, the walls and buildings of Lixus are now ruins. They include the remains of one of the city’s biggest industries, the manufacture of paste made from fermented fish guts. The location of the gardens is mentioned in a nautical text dating back to Hellenistic Greece, but other locations have also been proposed for the gardens, including Cyrene and one of the islands off the coast of Libya. Newgrange is a massive tomb that was built in Ireland’s Boyne Valley more than 5,000 years ago. It’s not only an impressive display of astronomical know-how but also one of the entrances to the Celtic otherworld. 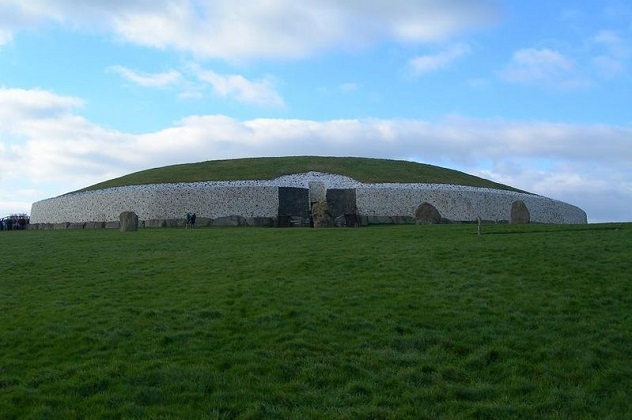 According to Celtic mythology, the gods traveled back and forth between the earthly realm and their own worlds through properly prepared and sanctified mounds like Newgrange. Thought to be the entrance to a magnificent feasting hall for the so-called Lords of Light, Newgrange was said to lead to a land where no one ever died, aged, or grew sick. 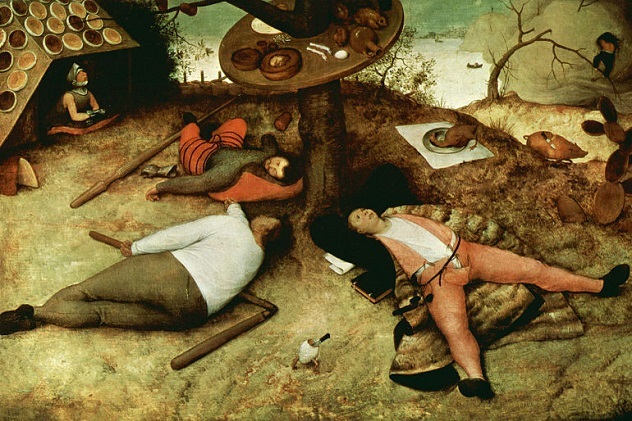 There was an infinite supply of food and drink as well as magical trees that continuously bore fruit. The oldest mythology surrounding Newgrange makes it the otherworldly home of the personification of the Boyne River and home to a well that was the source of all wisdom in the world. Trees near the well dropped their nuts into the water, which released the knowledge they contained into the human realm. The next inhabitant of the otherworld associated with Newgrange was the Dagda, one of the oldest of the Irish gods, who is associated with knowledge, the Sun, and the sky. His son, Oengus, is closely tied to Newgrange, being born after a single day that was extended by the power of the mound to last nine months. Later, Oengus tricked the Dagda into giving him the portal tomb, which he is said to guard to this day. The Scholomance is a mythical school whose existence was only passed down through Romanian folklore until it was recorded by an English author named Emily Gerard. According to Gerard, the Scholomance accepts 10 pupils at a time, who were taught by the devil himself. They learned all of his spells and tricks, including communicating with animals and controlling the weather. After the curriculum was completed, only nine students were released. The last one was kept by the devil as payment for the class, who sent him away to an infinitely deep lake where he lived until the devil needed him to make more thunderbolts. Gerard’s version of Scholomance is slightly different from the traditional Romanian one, which is chalked up to a mistranslation. In Romanian folklore, it’s called the Solomanari, and it’s located in a world that exists parallel to our own. After reading Gerard’s work, Bram Stoker used the idea of the Scholomance in Dracula to explain how Dracula’s family learned their demonic skills. 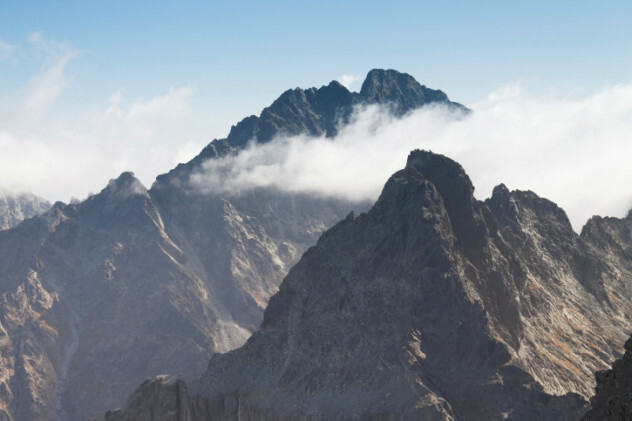 The lake where the devil’s dragon-riding aide sleeps and the school where he teaches is said to be high in the Carpathian Mountains near Hermanstadt, which is allegedly plagued by daily thunderstorms. Those looking for the lake will know they’ve found it when they see the cairns that line the shores of the lake, markers where hapless travelers were struck down by the devil’s bolts. Luilekkerland, otherwise known as Cockaigne, was a utopian mythological city. Those fortunate enough to gain entry would find everything they could possibly want, especially when it came to food. Wall were made of great slabs of bacon, roofs of tarts and pancakes, and fences of sausages. Wine ran in all of the fountains, the rivers flowed with milk instead of water, and trees in Luilekkerland bore meat pies and fruit tarts instead of pinecones. Even the weather was made of food: Snow was made of sugar, and hail rained down in the form of sugared almonds. You could also literally make money in your sleep. Unlike many mythical places, Luilekkerland wasn’t accessible only to those who were particularly good and righteous—you just had to be extremely hungry. In order to get there, you were told to head to North Hommelen, a city near northern France, and look for the gallows. The entrance, a massive mountain of porridge, would be unmistakable. Those who seek the city must eat their way through the mountain to get there, so a big appetite is required.